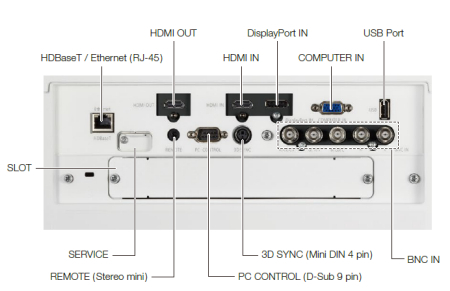 The projector is equipped with a wide range of input / output terminals and compatible with a variety of image sources, which lets you connect HDMI, DisplayPort, computer (analog), 5-core BNC, and video sources. The slot technology allows for the integration of Open Pluggable Specification (OPS*) boards and other option slot products without the need to store additional external equipment. This offers the greater flexibility customers require. Up to 20,000 hours* of maintenance-free operation is possible due to the laser light source. Projection is not conned to a standard -at screen or wall. Geometric correction allows this model to project an image on spheres, cylinders, corner angles and many more non-standard surfaces. 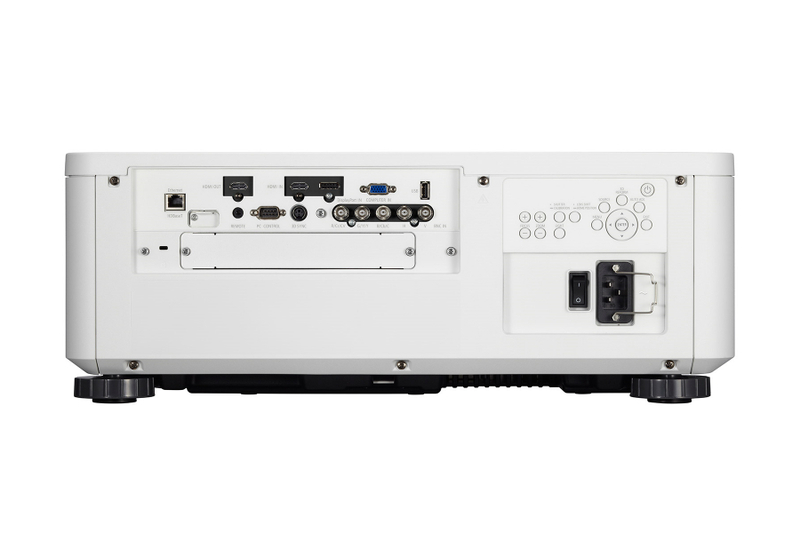 This feature allows the projectors to boost an image’s brightness up to 32,000 ANSI lm, which is ideal for larger-sized screens and environments with heavy ambient light. This feature also prevents the complete loss of an image, which can happen when using only one projector. 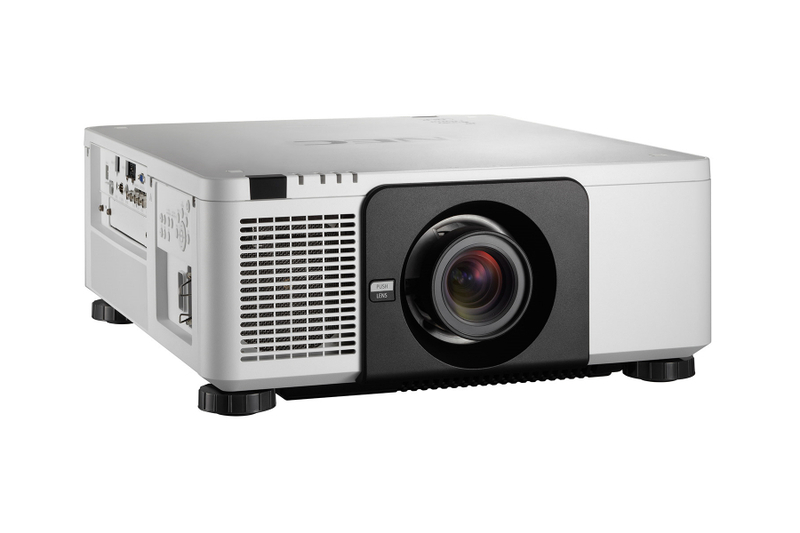 The projector has a dustproof design to prevent the staining of optical components from the ingress of dust and the deterioration of brightness and image quality. Lamps can blow, if you need your projector working and can't afford down time, you may need to keep a spare lamp. The replacement projector lamp for the NEC PX803ul is the No Replacement.